ufowatchdog.com: How many Biographies Can One Guy Possibly Have? How many Biographies Can One Guy Possibly Have? 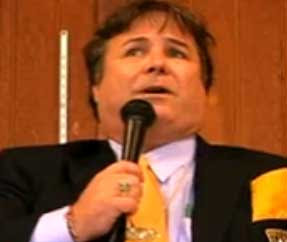 ABOVE: Alleged psychic fraudster Sean David Morton. would likely make anyone's head spin from the sheer number of incarnations it has taken over the years. It seems Morton adds or changes details on a regular basis, most of which were proven false when Morton was exposed back in early 2001 in The Shameless Psychic and His Prophecy of Lies. When you're self employed, I suppose that makes it easy to change or pad your resume on a whim.